Is Freezing Cannabis Buds A Smart Decision? 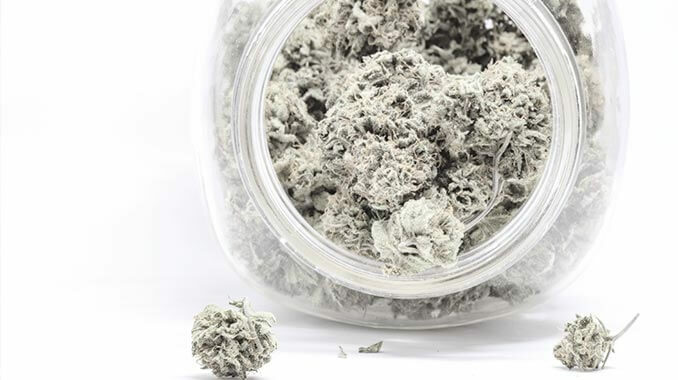 Home>Blog>Should You Freeze Your Cannabis? In the best of cases, cannabis growers produce more buds than they can possibly consume in the near future. This leads to the obvious question of how the remaining buds should be stored. The logical answer is to keep them somewhere we usually store greens for the long-term—the freezer. However, even though cannabis doesn’t look all that different from your classic veggies, it’s not the same thing. The best answer to the question of whether one should freeze cannabis is that it should be avoided if possible, and only considered as a last resort. Of course, we don't live in a fairytale world where cannabis never degrades and OG Kush buds are raining from the sky. That being said, let’s take the storage process step-by-step and present the smartest options. When talking about storing cannabis, it’s usually assumed the bud has already been dried and cured. 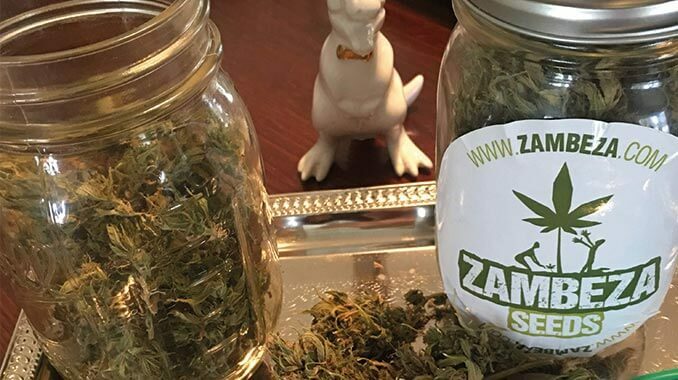 When the curing process finishes, the buds are ready for consumption, and there are three common ways to proceed: directly consuming the cured buds, storing them for ready access, and storing them long-term. The best way to store buds for ready access is to place them in a coloured mason jar, which is then kept in a dark and cool space. Keeping the temperatures in the jar at around 20°C with approximately 60% RH (relative humidity) should do the trick. Now, for long-term storage, generally longer than 3 months (although the time span greatly depends on personal preference), placing buds in the freezer may be a practical alternative. But if one's going with the latter option, one should do it correctly. When freezing the buds, it’s recommended to first remove as much air as possible because oxygen degrades the quality of cannabis over time. Some prefer to place their buds in vacuum-sealed packaging before placing it in the freezer. However, the plastic can have a static charge, which makes the trichomes stick to it, so many prefer to use airtight mason jars instead. Also, when the buds are frozen, one should refrain from opening the vacuum packaging or the jar on a regular basis. This is to prevent air from seeping in and thus detaching the brittle trichomes from the bud. It’s shrewd to have as little engagement as possible with the frozen buds until they're ready to be permanently removed. WHAT HAPPENS IF YOU STORE YOUR WEED AT ROOM TEMP? According to research conducted by the United Nations Office on Drugs and Crime, the degradation of cannabis quality, at room temperature, after one year is 16.6%. After two years it’s 26.8%; after three years it’s 34.5%; after 4 years it’s 41.4%. This means that even though the quality of cannabis decreases when stored at room temperature, it’s not as catastrophic as it's being presented by many growers. Sure, the bud will contain more CBN, making the effects more sleepy, and the terpene profile will reduce significantly; however, with freezing comes problems like potential mould, rot, detachment of trichomes, and more. Of course, mould and rot can also develop when cured buds are stored at room temperature if they're not handled correctly. Ultimately, it’s about formulating a plan and sticking to it as well as possible. Since you have important and heavy thinking to do about the future of your buds, we’ll keep it brief. Avoid freezing if you can, but if you must, use a coloured glass mason jar, keep it airtight, remove as much air as possible, and make sure your freezer is not prone to random outages. Touch the flower only when you place it into the freezer, and when you remove it.